NASA’s Jet Propulsion Laboratory said that a meteor exploded 26 miles above U.S. Air Base Thule on July 25. It was detected by the U.S. government. 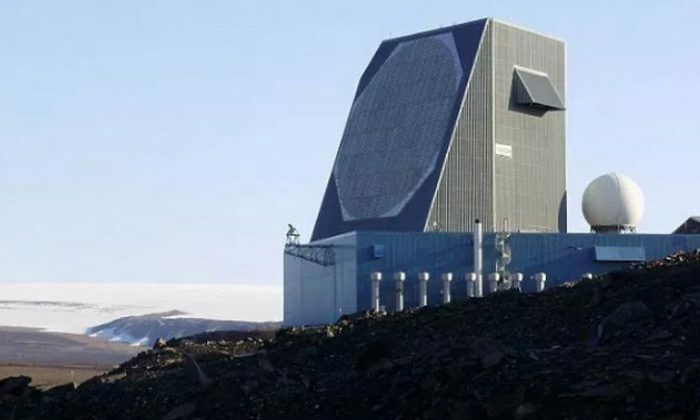 Namely, the explosion was above the early missile warning radar at Thule Air Base, The Aviationist reported on Aug. 3. The Director of the Nuclear Information Project for the Federation of American Scientists, Hans Kristensen, wrote about the incident on Twitter on Aug. 1. “We’re still here, so they correctly concluded it was not a Russian first strike. There are nearly 2,000 nukes on alert, ready to launch,” he said. The Aviationist’s Tom Demerly, who reported on the incident, wrote in an analysis that it’s concerning because there was no public warning from the U.S. government about the meteor blast. “Had it entered at a more perpendicular angle, it would have struck the earth with significantly greater force,” he wrote. The Air Force has remained silent about the incident. “It will be interesting to see how (and if) popular news media and the official defense news outlets process this recent Thule, Greenland incident. But while we wait to see how the media responds as the Twitter dust settles from the incident, it’s worth at least a minor exhale knowing this is another big object that missed hitting the earth in a different location at a different angle and potentially with a different outcome,” Demerly wrote. The Thule Air Base is the U.S. Air Force’s northernmost base, located 750 miles north of the Arctic Circle and 947 miles south of the North Pole. The base, according to a military website, “is home to the 21st Space Wing’s global network of sensors providing missile warning, space surveillance and space control to North American Aerospace Defense Command and Air Force Space Command.” Meanwhile, the Thule Air Base houses the “821st Air Base Group and is responsible for air base support within the Thule Defense Area,” it says.